Discover below our latest proposals for Corsica, or use filters for selecting appropriate to your needs. The most striking feature of Cap Corse is its finger pointing towards the Gulf of Tuscany, perhaps in recognition of the fact that Corsica was ruled by Genoa for several centuries. This road trip takes you to the heart of Cap Corse and into the picturesque Nebbiu region where both the hinterland and the villages clinging to the mountainside offer magnificent views of the turquoise sea and tiny fishing ports. It is easy to imagine sailors, sea traders and those islanders who migrated away from Corsica, setting out over the Ligurian sea. There are reminders of the island’s rich history all around: castles, Genoese towers, baroque churches, windmills, monasteries, Roman and Pisan chapels but also luxury ‘American’ villas with their cultivated grounds full of vineyards, beehives, citrus and oak trees. In the Agriates, you will discover Saleccia and its idyllic dunes, and be able to relax completely! 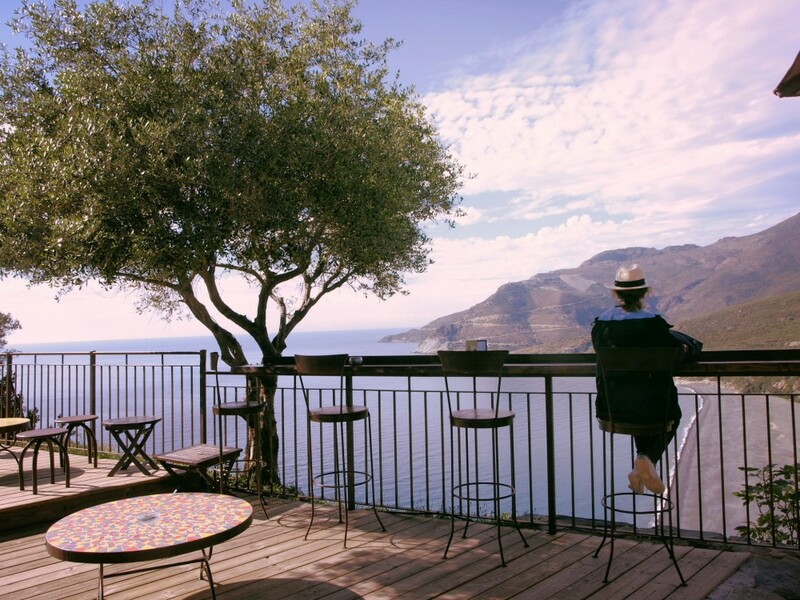 You can sit on the terrace at the end of the day’s activities, enjoy a glass of Cap Corse muscat and watch the glorious sunset over the Agriate mountains. A Magical road trip in Corsica ! Once you have settled into your accommodation, you will find plenty of ways to get into the swing of Mediterranean life. 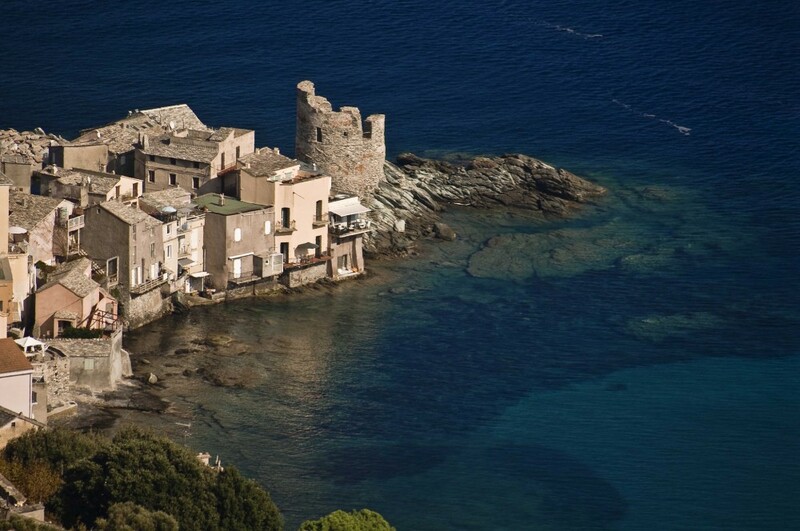 Relax with a good book by the hotel pool, wander through San Nicula of Bastia square, with its cafes and famous Mattei store, or stroll around Erbalunga, a fishing village where houses are awash with flowers and which lies beneath a Genoese tower that has inspired many artists. Bastia is a modest little port which has become one of the cultural jewels of the island. After visiting the museum in the heart of the Governor’s palace, you can amble through the old neighbourhoods and alleyways of time gone by, from Terra Vecchia to Terra Nova, from the heart of the old town to the colourful little houses huddled together in the old port. A guided walk will take you through hamlets in the Sisco valley. Along the way, you will catch glimpses of some so-called ‘American’ luxury villas, of ancient towers and a convent. The lush and refreshing vegetation will envelop you and you will be lulled by the burbling sounds of the river. The path takes you through villages where the roofs are covered in the traditional schist (teghe/Lauze) tiles whose colour is in keeping with the blues and greens of the surrounding countryside. 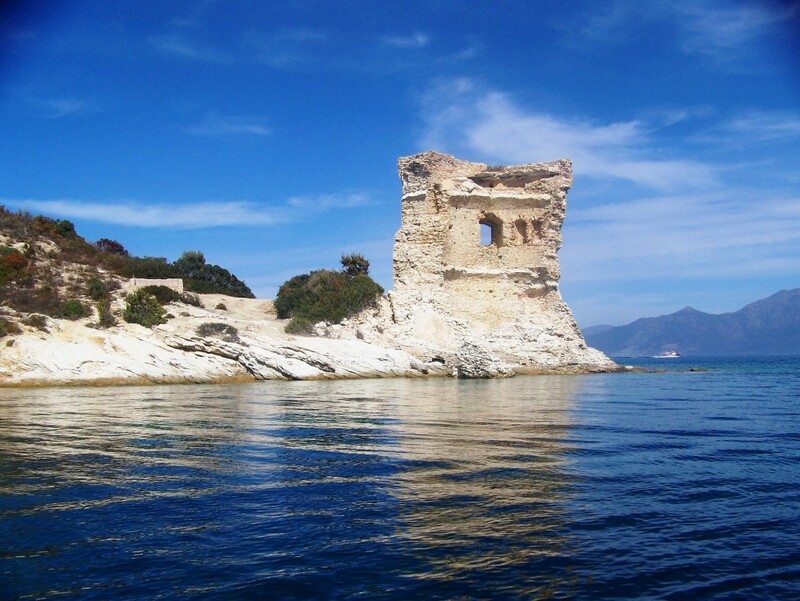 A morning departure from Macinaggio will take you along the ‘Douaniers’ trail, a coastal path to the Finocchiarola Islands Nature Reserve and Santa Maria Tower. The path winds through vineyards, beaches and fragrant maquis. There are wonderful views “Everyone look north!” from Mattei Mill at the tip of the Cap and from the little fishing port of Centuri, where you can enjoy seafood and wine-tasting. There will be a stop at Rogliano whose abundance of monuments is testament to its historic and economic importance: churches, towers, palaces, a convent, but also the remains of a feudal castle, a stronghold of the Genoese Da Mare lords. Everywhere there are incomparable views of the coastline and of the island of Capraia in the distance. As you head west, you will see in the distance the outline of the Agriates and below you, coves and beaches where the crystal clear waters look so tempting. High above the ground, the Genoese Nonza Tower, an ancient stronghold of the Da Gentile lords, looks down onto a beach….of black sand! On to Nebbiu and Patrimonio, famous for its AOC vineyards. You will be staying in a traditional house, a haven of peace and quiet with its tasteful and comfortable décor. You are sure to find a real sense of well-being, surrounded as you are here by the elements: stone, water, olive trees. In the evening, you can stroll around Saint Florent, from its fortress down to the marina with its abundance of restaurants, shops, cafes and ice-cream kiosks. 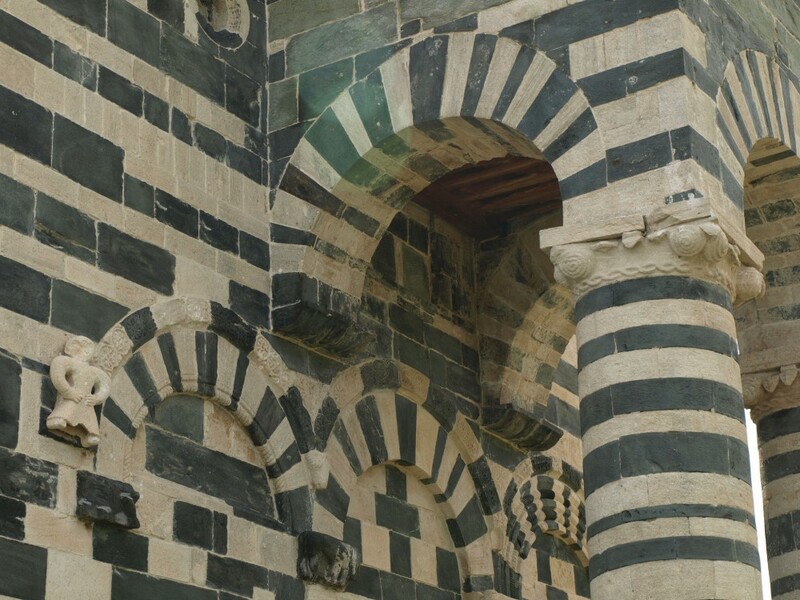 Discover the Nebbio interior region by heading to Murato to admire a masterpiece of Romanesque art, the Saint Michel church from the XIIth century, distinguished by its multicolored stones. Walk in the heart of the harmonious town of Oletta to admire the view of the Gulf of Saint Florent before visiting the pottery workshop and an olive oil producer. 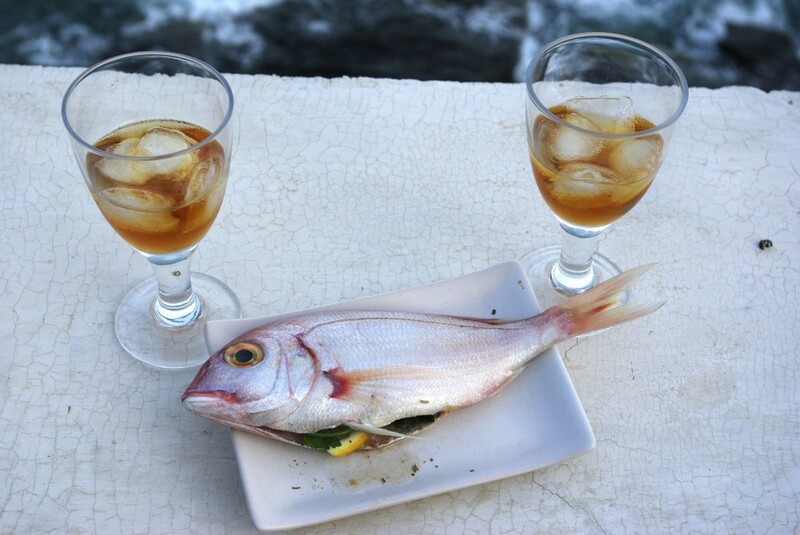 The heart of Corsican traditions is here for you. Once important foodland and livestock, the Agriate area (mistakenly called "desert") is a protected area and preserved mountainous massif open on the Ligurian Sea. Hike along the coast by paths enriched by the flavour of fragrant maquis formed here and there, which accompanies you to the paradise beach of Saleccia, lined with Aleppo pines. Maritime getaway back to Saint Florent, for a perfect day in the wildlife. Departure on any day subject to accommodation availability. The lunches, the dinners, the entrance fees(monuments or museums...)except the 1 mentionned in "the price includes", the drinks, the tips, travel insurance (on request), and personal expenses.